RSVP to attend this free town hall-style announcement of exciting news at CFCArts! Central Florida Community Arts is in its most exciting days and we have some incredible news about our growing education, outreach, and arts and wellness programs! At Reimagine, we will unveil our new School of the Arts and along with it, new opportunities to provide arts for a lifetime. 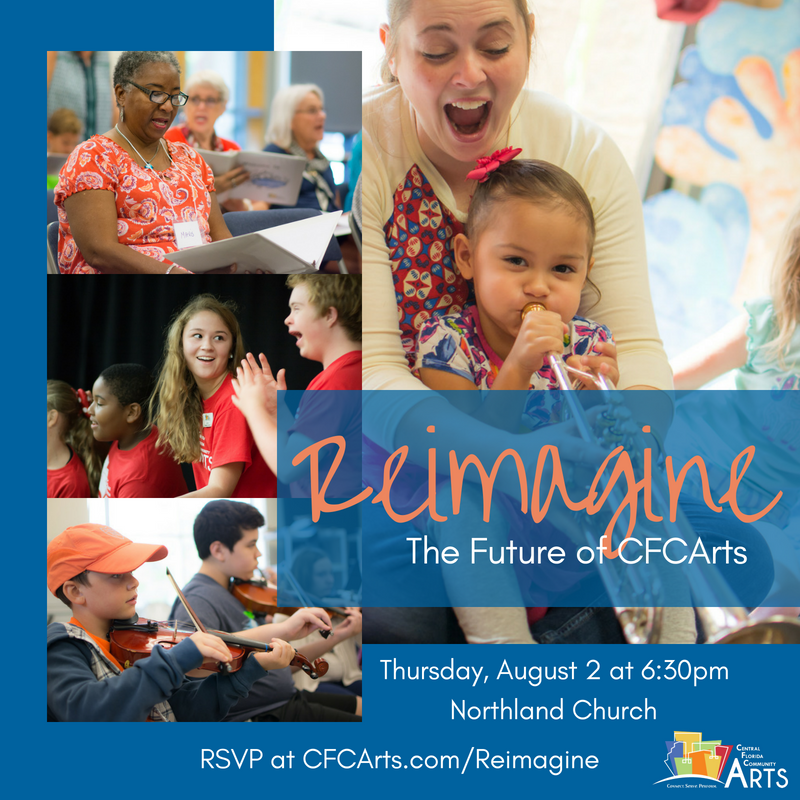 We invite you to join the CFCArts board and staff on August 2nd as we share this vision of new programs, partnerships, funding and the impact of thousands of lives in Central Florida as we continue to make the arts affordable and accessible to all! Questions? Contact 407-937-1800 ext. 710 or info@CFCArts.com.